Still largely undeveloped, Katie Hill has room for expanding businesses as well as residential buyers with its range of property types. Nestled in between northern curve of the Cumberland River and East Nashville, this small neighborhood is convenient to downtown Nashville as all its surrounding urban core. If you’re looking for a view – take a look here. 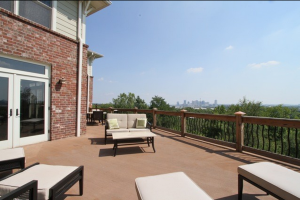 Aptly named Katie Hill offers breathtaking views of the skyline and the Cumberland River abound from just 1.5 miles from downtown. The neighborhood also boasts an active neighborhood association, prime sunset watching, and a location that puts many of Nashville’s hot spots within a few miles. Still largely undeveloped, Katie Hill has room for expanding businesses as well as residential buyers with its range of property types.